Gain global experience while you immerse yourself in the vibrant sights and sounds of China with an Internship in China. What better way to complete your internship than in a country can promise you’ll have a culturally diverse experience at an affordable price, fully customized to your goals and expectations? At Go Abroad China (GAC) we know that finding the right international internship program, accommodation and networking in a new country can be challenging to organize and may be both time-consuming and frustrating. We’re here to make the process of securing a global internship as easy as possible for you. Our team are respected internationally and have successfully placed thousands of talented undergraduates, graduates, and professionals all over the globe in high-quality internships in China. We believe you’ll have the best global internship experience when all your needs are taken care of. GAC will make sure you have everything you need to ensure your comfort, safety, and well-being here in China. We have a support hotline available to support you around the clock; whether it’s day-to-day support or an emergency, our team will be there to lend you a hand. Our program participants have had a 70% chance of gaining a permanent full-time job offer once they have completed their internship. At Go Abroad China, we have delivered a memorable and meaningful international internship experience to thousands of young people. As one of the largest providers of internship programs in China, we can offer a wide range of programs customized to your academic experience, skills, interests and career goals. over 2000 internship placements to choose from. We aim to offer you the best competitive price, guaranteed. Our paid internship programs are all-inclusive. They cover the costs of insurance, visa support documents, transportation, courses, excursions, accommodation, study materials and more. With over 600 partner companies to choose from, we rarely cannot find an internship for our applicants. If we can’t find a placement you like, we’ll refund your deposit. Note: To calculate the total cost of an internship longer than six months, take the price for six months and add the ‘additional month’ fee for each additional month you are staying. Finding the right international internship program that is ideally suited to your needs, experience, goals, and background can be challenging. That’s why our programs are fully customizable. Working together with you, we will develop the perfect paid internship program for you. 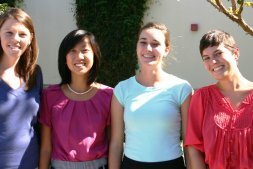 From program length, accommodation, industry sector, career field, length of stay, language requirements and budget, our team will work with you to customize our program components to create a unique internship program just for you. What’s Included in a GAC Internship? We aim to give you the best value for money, with many extras included in your internship program price. We are well-known for making sure our students have a fulfilling experience in China, comfortable, safe, and have the opportunity to immerse themselves in the Chinese culture. Complete support throughout the application process, including advice and program development. Once you’ve enrolled, we’ll send you the necessary visa support documents you’ll need to apply for your visa to enter the People's Republic of China. We offer you three accommodation options to ensure that you have somewhere to live. You will receive an orientation session to help you get settled in and to brief you on how your internship in China will work. Your welcome pack will include a local mobile phone, transportation card, city map, and other orientation materials. A welcome dinner and networking session is organized to help you meet fellow interns and get settled in. 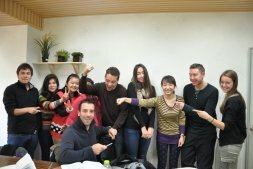 We provide three Chinese Lessons per week in a small group with our Professional Chinese teachers. With more than 600 corporate partners and over 2000 placement positions available, we guarantee we’ll find you the right placement. Skype is a great way to make international calls and to speak to our team of program coordinators. Should you have any problems or need any day-to-day support during your internship program, Go Abroad China staff members will be available on call at any time day or night. Search our vacancies by keyword and start today. Go Abroad China places will place you in an internationally accredited university; therefore most universities outside China accept these credit points. 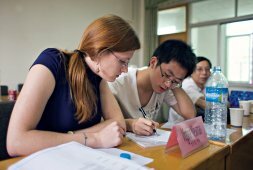 Most of the Go Abroad China past participants have successfully transferred the credits that they earned here to their original universities in their own country. Go Abroad China will assist you in transferring your credit points too, as long as you comply with each university’s pass rates and points. It’s important to double check with your destination university about credit transferal options and requirements. seeking an internship opportunity in a sector relevant to your studies. Have other questions? View our Frequently Asked Internship Questions page for more.